Goku and Vegeta are now available and can be added to Dragon Ball FighterZ. Each of them costs $4.99 USD, but if you own Season Pass, you can download two new characters at no additional cost. Goku and Vegeta are the fifth and sixth characters of this DLC season. Recently, Bandai Namco announced the seventh, Cooler. This means that in this DLC season we'll get only one more character. Based on dataminers leaks, we can expect it to be Android 17 from Dragon Ball Super. 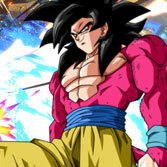 Base Goku and Vegeta are characters from the Saiyan Saga period from the beginning of Dragon Ball Z series. During battle with Raditz, Goku sacrificed his life to let Piccolo finally defeat the invader using Special Beam Canon. After moving to Other World and traveling through Snake Way, Goku found King Kai with whom he trained before the fight with the approaching threat--two powerful Saiyans, Nappa and Vegeta. King Kai taught Goku techniques such as Kaioken and Spirit Bomb, which now we'll also see in Dragon Ball FighterZ. Vegeta, young and proud Saiyan prince, together with Nappa, are heading to Earth after learning about seven Dragon Balls. Encouraged by the possibility of fulfillment of any wish, they were determined to achieve their goal. However, after arriving to Earth, they encountered Piccolo, Gohan, Yamcha, Tien, and Chiaotzu. Despite the tremendous effort, defenders of Earth couldn't stop the invaders, and most of them died during the battle. 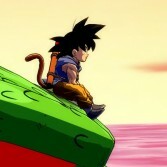 However, the arrival of Goku changed the course of events. Nappa was easily defeated, and much stronger Vegeta finally met a decent opponent. The most iconic attacks of Vegeta from this period are Galick Gun and Galaxy Breaker. Galick Gun is already used in the game by Vegeta (Super Saiyan), but Galaxy Breaker will be seen in Dragon Ball FighterZ for the first time. You can also watch below the reconstruction of above events in latest trailer, released during the Evo 2018 by Bandai Namco. The trailer also shows a dramatic finisher, which can take place during the Goku and Vegeta fight on the Rocky Field stage. 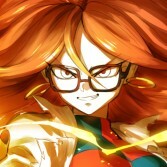 Previous Dragon Ball FighterZ: Who will be the last character of this DLC season?